I hope you're having a great day so far! 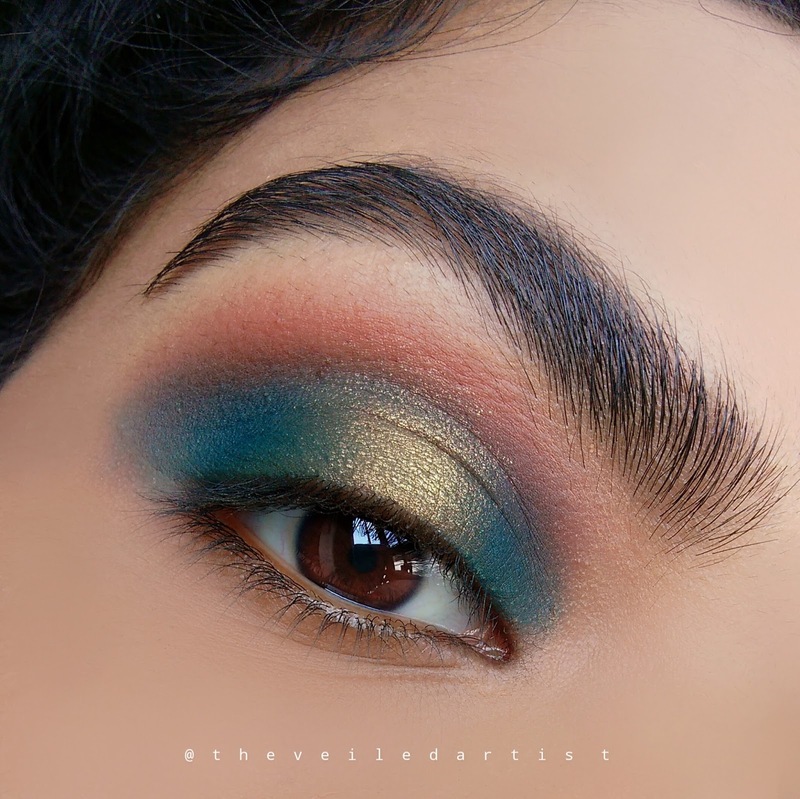 Today I am here with this ethereal, mermaid inspired, rich halo eyes tutorial. I absolutely love how everything turned out, including the lashes I picked out for this look! It is actually really easy to create so let's get started! 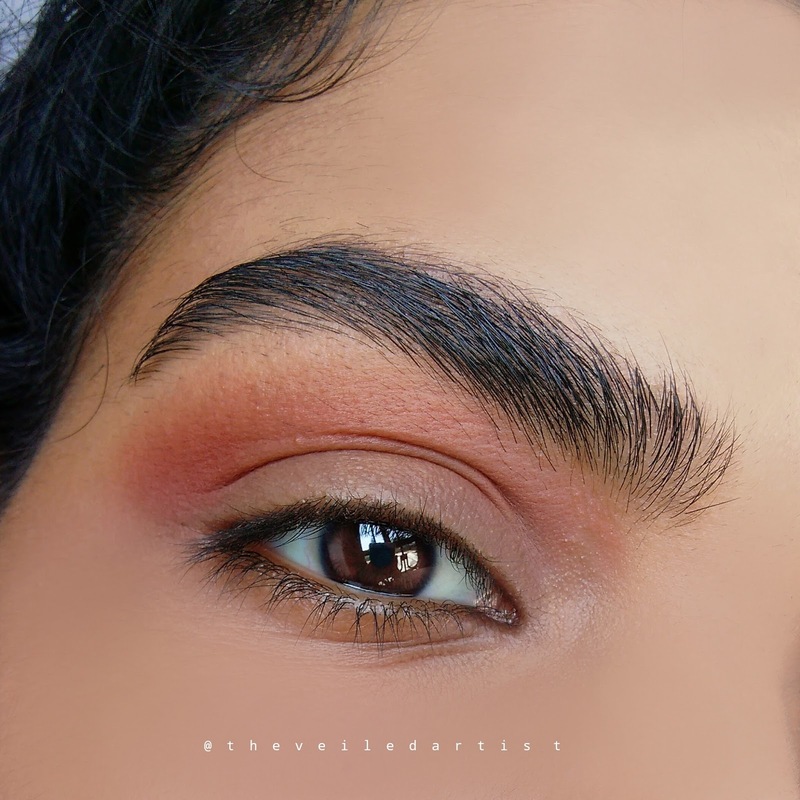 A little disclaimer though guys, I am currently growing out my brows haha (lol I know you're thinking 'cuz they're NOT already thick enough') so excuse the extra hairiness in the next few tutorials! NOW let's get started! Since we're working with bright shadows today, prime your eyelids first. You can use foundation/concealer if you don't own an eyeshadow primer and set your eyelids with powder. 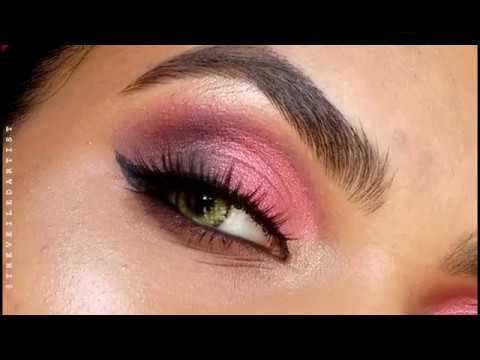 I also recommend doing your eyeshadow look before any face makeup because we can easily wipe away any eyeshadow fallout using makeup remover and then go in with foundation or concealer. 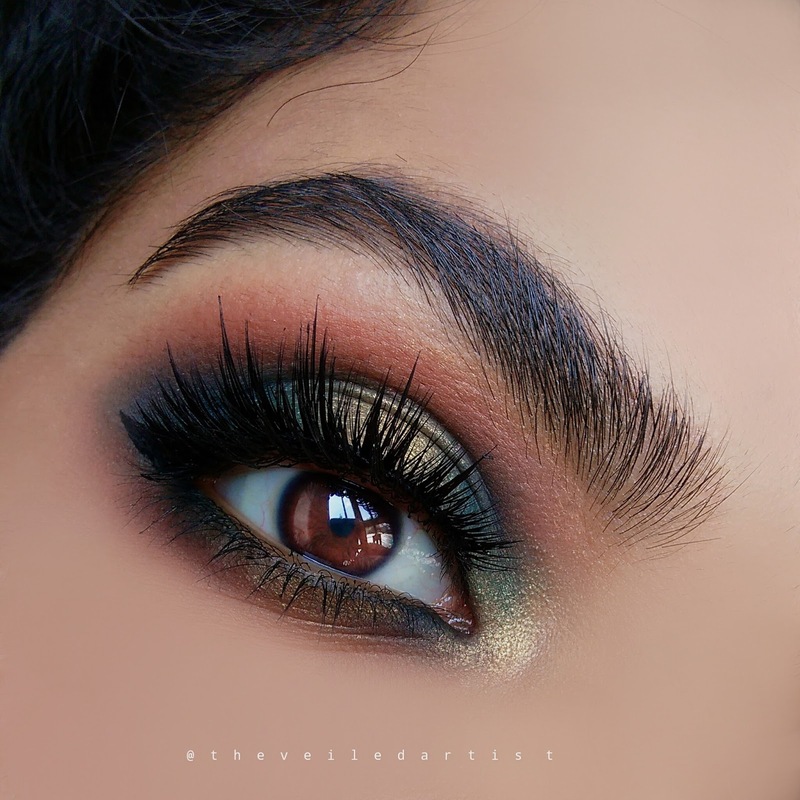 Blend the warm brown eyeshadow into your crease and a little above it. This will be our transition shade. 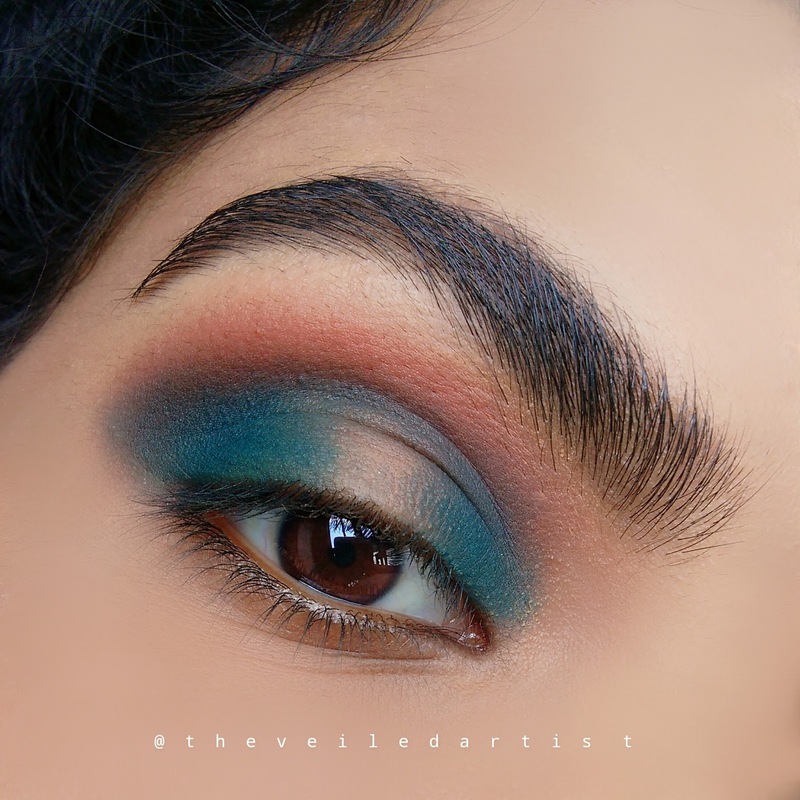 Using a flat shader brush, pack the deep teal eyeshadow onto the inner one third and outer one third of your mobile eyelid and blend the edges out into the warm brown. Next, blend the deep teal in the outer one third into a C shape. 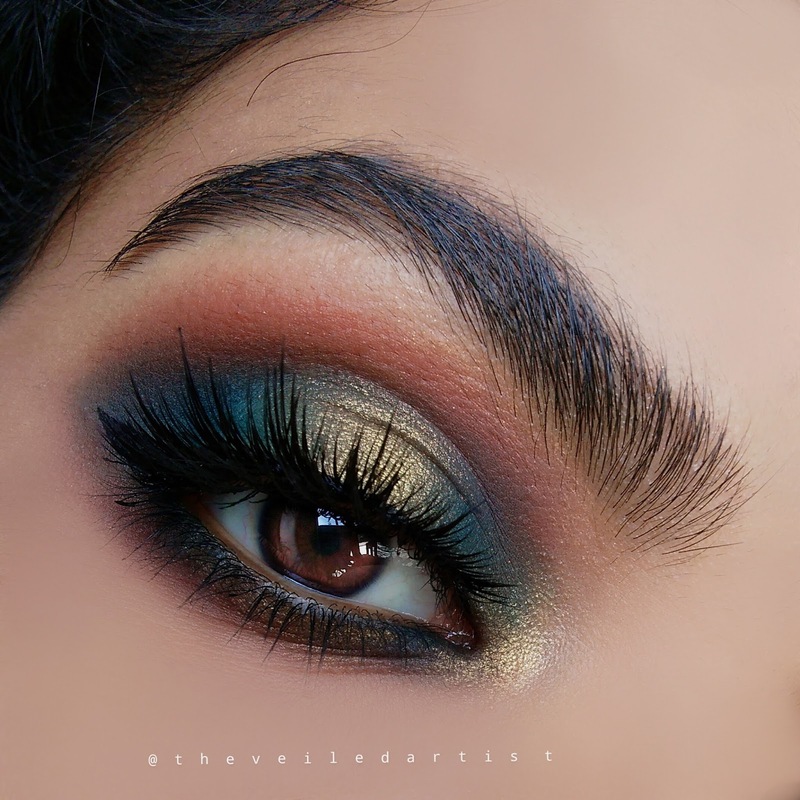 Also blend in the tiniest bit of deep teal eyeshadow into your crease but leave the center of the eyelid empty. 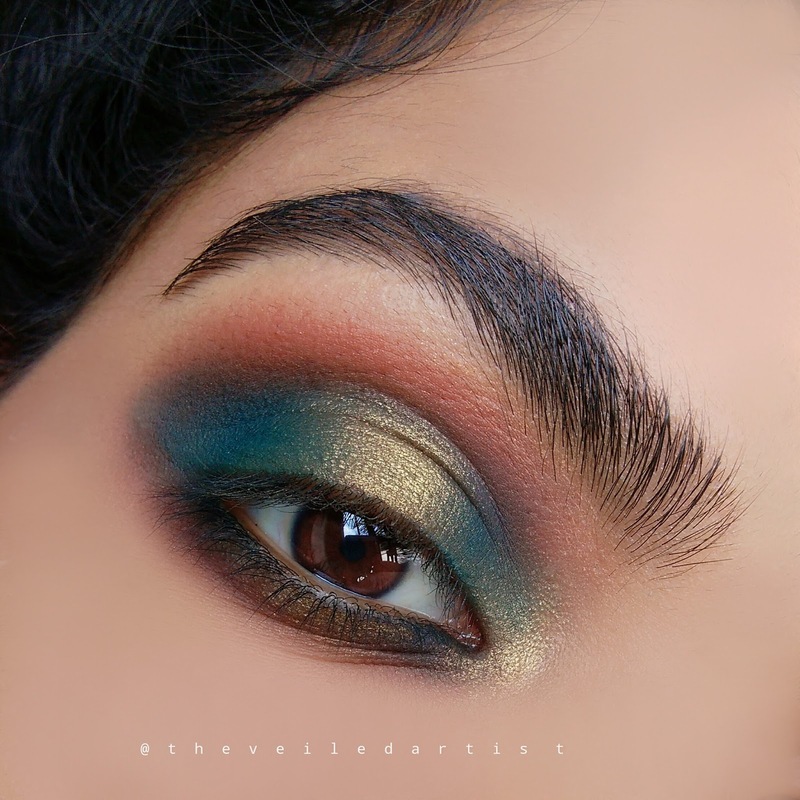 Pat the shimmery gold eyeshadow onto the center of your eyelids and blend it into the teal eyeshadow on both sides. 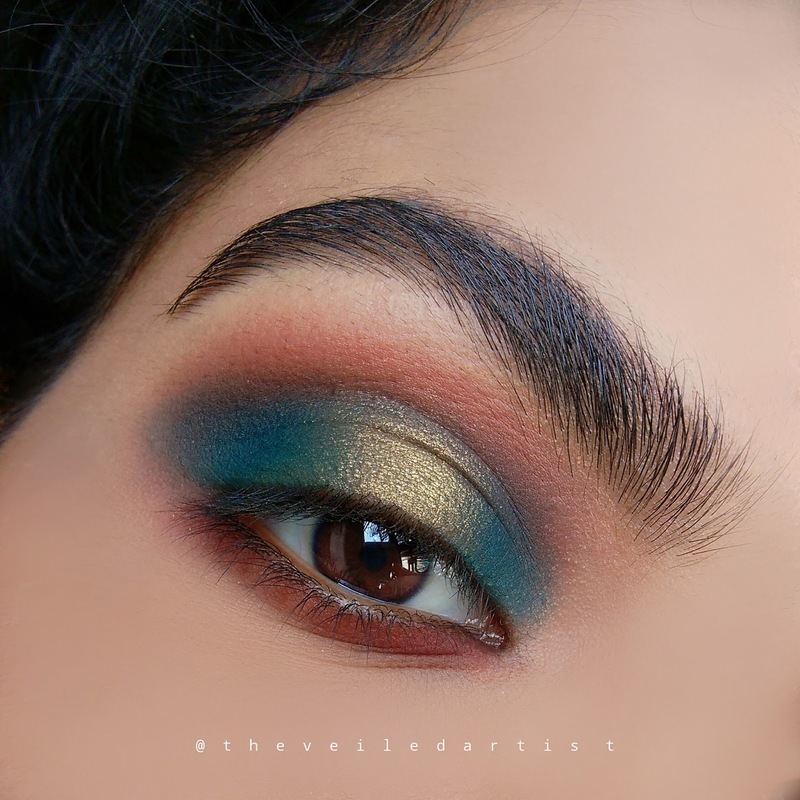 Now blend the warm brown eyeshadow all along your lower lashline. 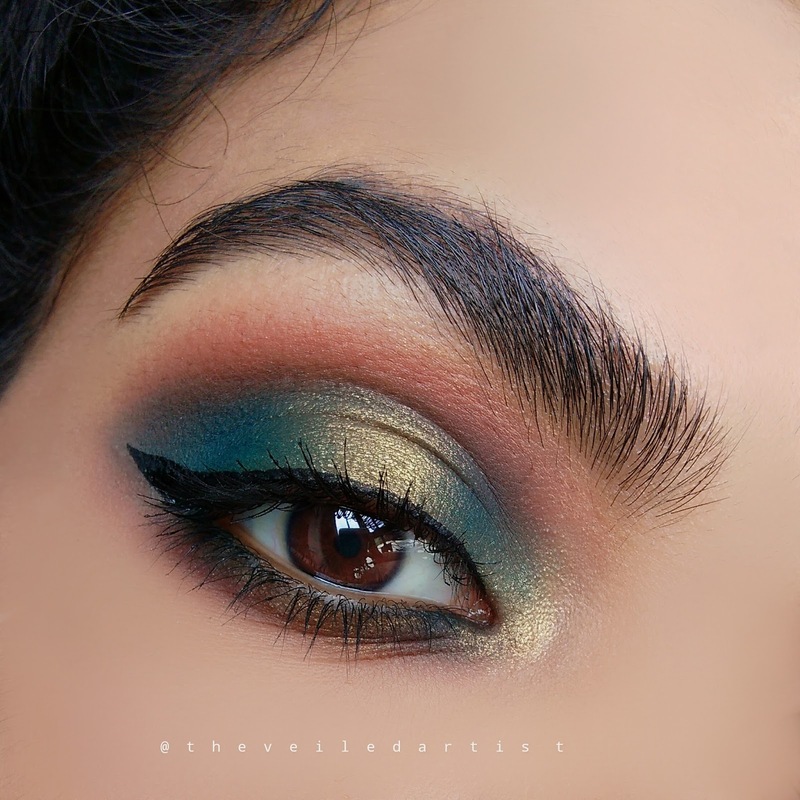 Next, blend the deep teal eyeshadow all along your lower lashline, above the brown we just used but keep the teal closer to the lashes. 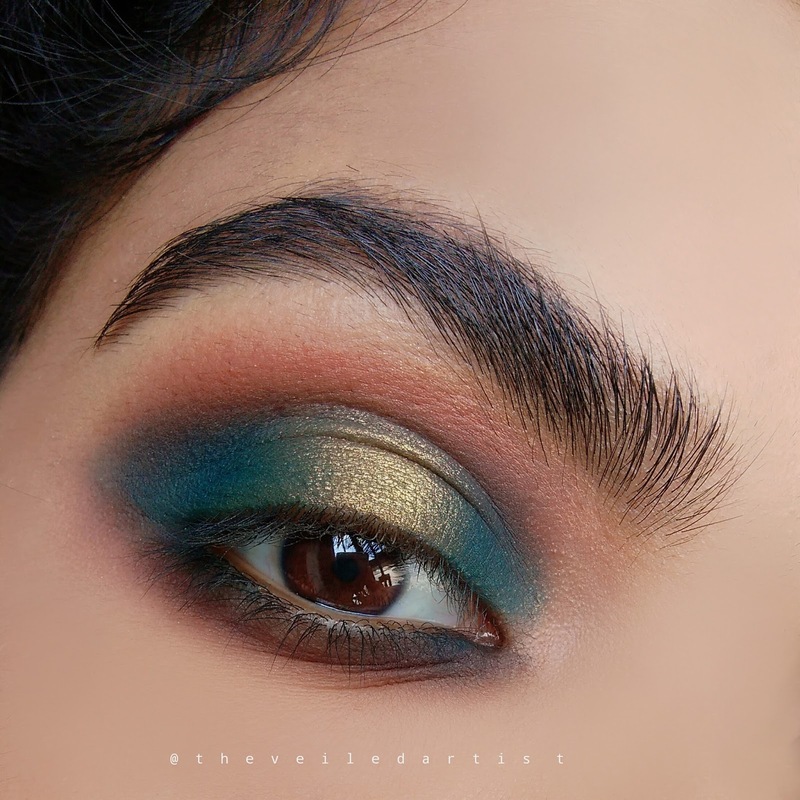 Using your fingers or a small brush, apply the shimmery gold eyeshadow into the inner corners of your eyes and blend the edges out. Then apply it to the center of your lower lashline and blend the edges out into the teal on both sides. Do your liner how you like it, curl your lashes and apply mascara. I felt like this look was CALLING for some falsies so I used the House of lashes Knockout lashes! I love how it completed the look! And that's it guys! 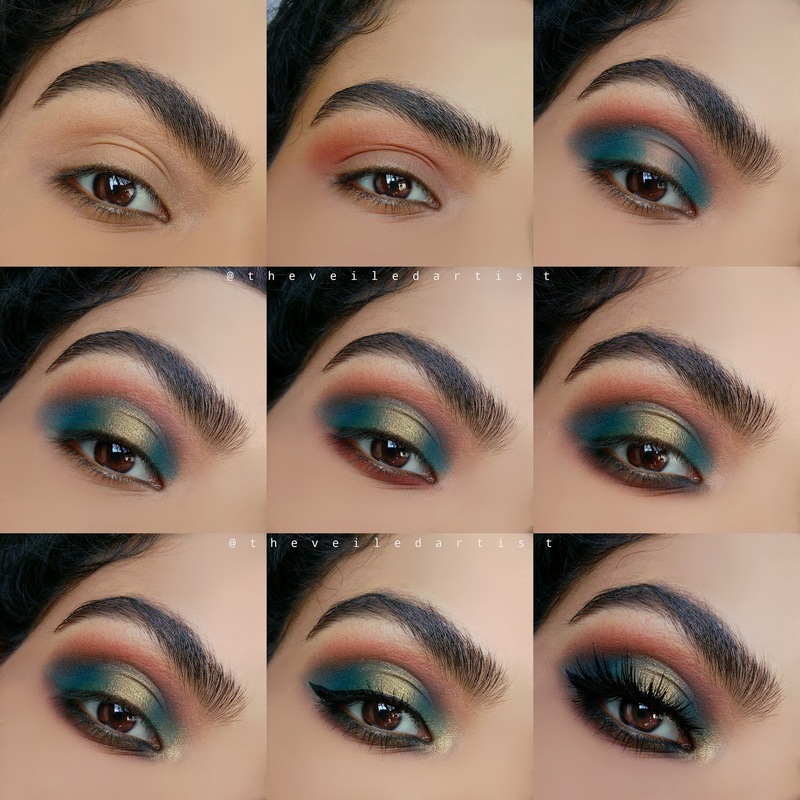 Scroll down for the full pictorial and products used info! Thank you so much for reading my loves! I hope you enjoyed today's tutorial as much as I enjoyed creating it! And I really hope you give it a try! If you have any tutorial requests, celeb inspired makeup looks, anything at all, please leave me a comment below<3 You can check my last post here! 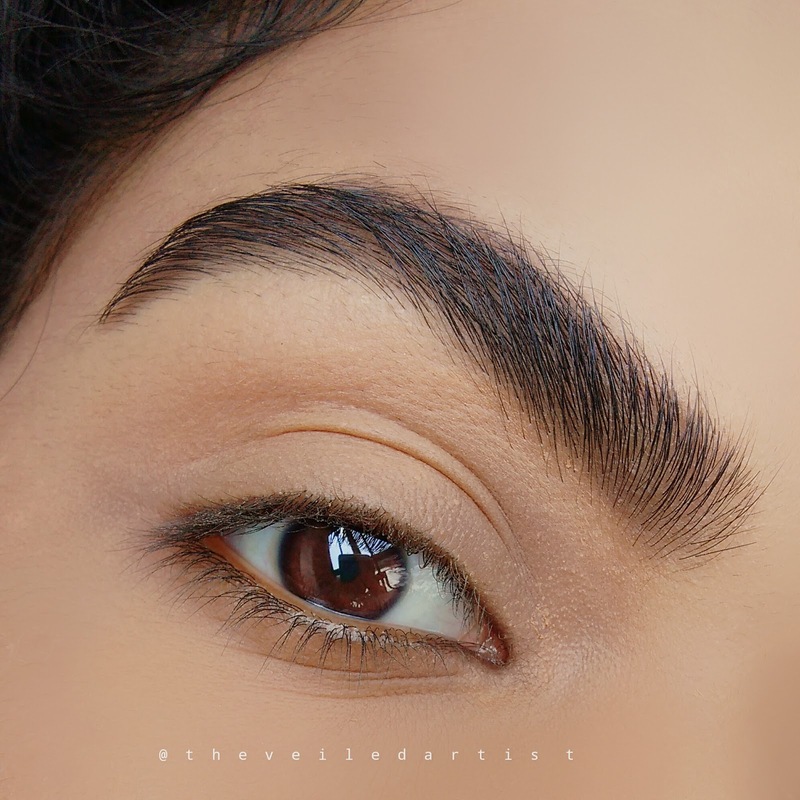 It was a review of one of the most popular drugstore liquid foundations in the world and my last tutorial here, which was on easy cartoon liner!